How do you thank someone for treasured memories? 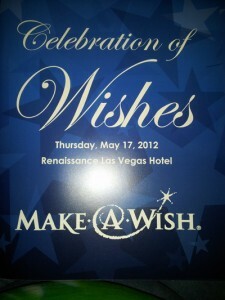 Last night, our family was invited to our local Make-A-Wish’s annual fundraising dinner. We were chosen to share Hannah’s story and why our MAW trip last year (has it been a year already?!) was so important to our family. It was an incredible night with about 200 people there, mostly MAW’s major donors. We were at the “kids table” which was great because we got to meet the other wish children and their families who were being featured that night. I was worried about giving my speech because I had practiced it earlier in the day and couldn’t do it without breaking down in tears. But I did give the speech. With Ethan, Abby, and Daddy right on stage with me. With a huge screen with photo montages of Hannah and our trip playing on the side of the room as I spoke. I broke down during most of it, and looking back, I should have had a tissue or something up at the podium. Abby and Daddy were also tearing up during my speech, with Ethan being his stoic self taking it all in. And although I didn’t pay attention to the audience because I was so focused on getting my words across, Daddy and a few other people told me that many in the audience was in tears and glued to the photo montage during my speech. After the speech, Abby and I went out into the hallway for a good cry. It felt so good to tell Hannah’s story, but it made it so raw again and made us miss her that very moment so much. Anyway, here is my speech. This picture captures our entire trip! Thank you for inviting us here tonight to share our story and to share why our daughter’s Make-A-Wish trip was so important to us as a family. (Mickey/Hannah pic). This is our daughter Hannah meeting Mickey Mouse. I’m sure that all of you have seen similar pictures like this hundreds of times over the years. 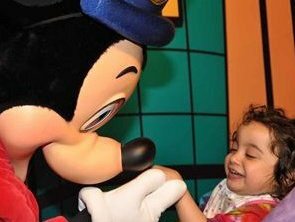 Meeting Mickey Mouse is the highlight of almost every child’s visit to a Disney Park. But this picture tells so much more of our story than a simple meeting with a character. Our daughter, Hannah, was born with Neuronopathic Gaucher’s Disease, an extremely rare and genetic metabolic disorder that degeneratively affects the neuromuscular parts of her body – movement, breathing, intellectual ability, everything. There are only 50 children in the U.S. with this disease. There is no treatment, no cure. We were originally given a prognosis of 9 months, then 18 months. Hannah had her own plan. She was with us 3 years 4 months. Hannah’s condition affected our entire family’s lifestyle because she required 24/7 care, especially in her last year when her disease progressed to the point where she was considered “medically fragile.” Developmentally, she never progressed to more than a 12-month-old. Ethan and Abby never complained about the activities that they had to miss out on or the extra time we spent with Hannah. They were right there, front and center, helping take care of their little sister. They would sing her favorite songs, read her favorite books, and had a way of making her smile and laugh so big. Hannah was in love with her big brother and big sister. Hannah loved Mickey and Minnie Mouse. She watched the Mickey Mouse Club House every day, multiple times a day. It was our go-to video when we had to keep her entertained while waiting for doctor’s appointments, procedures, going to dinner, etc. The day Hannah turned 2-1/2, I called Make-A-Wish. I wanted Hannah to see Mickey Mouse in person. I wanted to see what her reaction would be. By that time, her disease had progressed to the point where she could no longer crawl, no longer sit unassisted, and she had lost the ability to grasp on to her toys…things she could do just a few months earlier. We met with the wish granters just a few weeks later, and within just six weeks, we were headed to Disney World and Give Kids the World in Florida. Hannah really had no idea what she was in store for, but Ethan and Abigail had been flying high for weeks in ancipation of this trip. Because this trip wasn’t just for Hannah. This trip was for the five of us to just have fun and be a family – no doctor visits, no therapies, just the five of us. But for Hannah’s Daddy and I, we knew this trip was so much more. We knew that this would likely be the last time we would be able to spend this kind of experience together with all three kids. Hannah’s condition was getting worse, we knew this was our once-in-a-lifetime family trip. We wanted Ethan and Abigail to have these amazing memories and experiences with their little sister – away from the medical lifestyle we were all so used to living. We spent a week at Give Kids the World and Disney World. Our Make-A-Wish coordinator had everything we needed ready in our villa, right down the to special bath chair we needed for Hannah and supplemental oxygen we would need if Hannah had difficulty breathing. There were so many things to do that week. Because Hannah was only able to tolerate being at the park a few hours at a time, we were able to take advantage of all the fun activities of Give Kids the World. We did spend quite a bit of time at the Wish Lounge in Magic Kingdom while Hannah napped, and the kids were able to spend time with the other siblings of wish kids who were visiting the park. What was so special to us was to see how Ethan and Abigail were treated like royalty on the trip. The trip wasn’t just about Hannah for us – it was about our three children spending this time together. It was about Ethan and Abby creating fun memories with Hannah, something they will be able to keep with them after Hannah was no longer with us. (Mickey/Hannah pic). So back to this special picture of Hannah and Mickey. Hannah’s condition had deteriorated by this time to the point where she had lost most of her fine motor skills. She was no longer able to play with toys, use her iPad, or even lift her arms to reach out and hug us. That was “theee” moment for us. This single picture taken by the Disney photographer at just the right time captured our feelings for the entire trip. Hannah met Mickey – and she loved it. And we loved being there to see it. And we loved being able to see it together as a family. Hannah passed away 7 months after our trip. We thought we would have more time with her, but her body was just too tired to continue fighting. When our hospice worker met with Ethan and Abigail to talk about Hannah, she asked them both to go to a separate table and draw their favorite memory of Hannah. They both came back with pictures sharing memories during Hannah’s Make-A-Wish trip. Thank you for giving our family such a gift. It may have technically been Hannah’s wish, but it was truly a wish for our entire family as we get to keep these amazing memories in our heart of our beautiful sweet girl who we miss terribly. 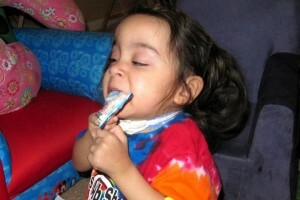 Stealing Halloween candy wrappers, 2010 ~ "This works for me!" I have met some incredible people over the past month or two who have shared their experiences with building a nonprofit here in Las Vegas. Organizations such as Make a Wish, Cure 4 the Kids, Nathan Adelson Pediatric Hospice, etc., have all opened their arms and have agreed to work with us as partners in mission. To have this kind of support, so early after our formation, is overwhelmingly positive. But it doesn’t just stop with those organizations, but other people who we have reached out to have enthusiastically offered their support of Little Miss Hannah by way of hosting events for us, helping reach out to others to help spread our mission, and some incredibly exciting celebrity connections. It has been so cathartic for me, so uplifting to be able to talk about Hannah, talk about Ethan and Abby, and share why our mission is so important to me. And to see it responded to SO positively – not just a “oh, okay, that’s nice” but with such genuine acceptance is…it just is amazing. Yesterday, I found myself needing to visit Hannah at the cemetery. I still go at least once or twice a week, but yesterday I just HAD to go be with her. I find that when so much good is going on with LMHF, by talking about her and LMHF so often, that it takes away from my “Me and Hannah” memories and moments. I still need my “Me and Hannah” moments. Even though I can’t get them physically, just being able to go to the cemetery and sit there alone with her helps bring things into focus, being able to just let go and cry and tell her how much I miss her, tell her what people are doing to help us spread her story. My focus on LMHF has to remain on MY Hannah. With so much excitement and with the foundation coming together as quickly as it is, my heart needs to keep being able to have my “me and Hannah” time. Thanks to a wonderful blog reader, I now have the actual clip of the NBC news piece that was done on Hannah on Thanksgiving. It includes the promos and teasers that were also played during the day (at the beginning). Also, Mitch, the wonderfully caring man instrumental in getting us this interview and helping us promote World Rare Disease Day in February, got NBC 3 to put the separate clip on their website. 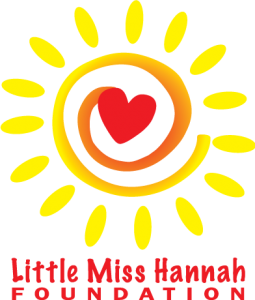 I like the heading – Little Miss Hannah Will Make You Smile. Patty Taormino on Little Miss Hannah Goes to Washington! Thank you Chuck and Judy Goodman! Our Little Miss Hannah team is growing!